Portsmouth, NH – The AC Hotel by Marriott is on target for a late summer completion as PROCON crews finish up the exterior installations. The upscale hotel with an event center and a rooftop bar is located at 299 Vaughan Street in Portsmouth adjacent to the 3S Artspace in the city’s North End. The five-story structure will be the first AC-branded hotel in the state. 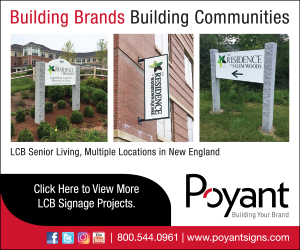 PROCON is the designer and construction manager on the project, which is a developer collaboration between XSS Hotels of Manchester, N.H., and Cathartes of Boston. The 154-room hotel design features deluxe double-queen and king guestrooms. Each room will include the AC’s signature wall-mounted workspace and seating bench. A European décor will be reflected throughout in stylish finishes designed to appeal to tourists, business travelers, and Millennials. Guest amenities will include a fitness center with a dedicated yoga room, a rooftop lounge/bar and deck, a library, a 24×7 market, complimentary Wi-Fi, and a 24-hour business center. An additional 2,360sf of first-floor leasable office and retail space will also be available upon completion. The hotel also will feature a third floor 4,500sf event space and deck for weddings, special occasions, training seminars, and more. The larger room will subdivide into smaller meeting rooms for corporate meetings or intimate social functions. On the first floor, two media salons will provide collaborative technology and a 1,500sf subdividable conference area. Guests will also be able to enjoy social gatherings and mixers at the hotel’s rooftop bar and event space offering views of North Mill Pond and the Piscataqua River. Current work includes the roof installment, the weather-tight barrier, and windows, to be followed by interior installations. This project is not the first time that XSS Hotels, Cathartes and PROCON have worked together in Portsmouth. Previously, they joined forces on the nearly 400,000sf Portwalk Place mixed-used development occupying a city block in downtown Portsmouth. Portwalk Place was one of the first live/work/play developments in New Hampshire and was a strategic part of revitalizing the city’s North End. The AC Hotel is European-inspired, made its U.S. debut in 2014, and currently has 73 opened nationally with another 110 in the pipeline. So far, XSS Hotels’ Principals Leo Xarras and Mark Stebbins have collaborated on five previous AC Hotels’ in the Greater Boston area, notably Cambridge, MA, Boston/Medford, Boston’s Cleveland Circle, Boston South End (Ink Block), and the AC Hotel Worcester.